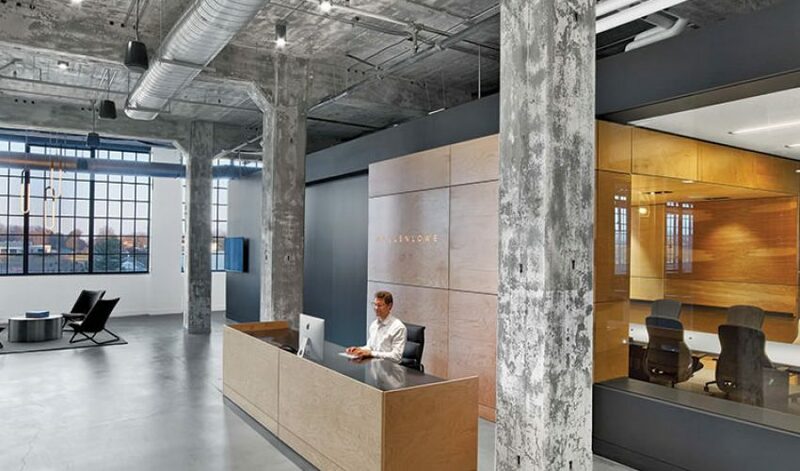 This project featured the conversion of a tobacco factory in Winston-Salem into a modern office space for national advertising agency, Mullen Lowe. We completed the custom millwork for this project in collaboration with New York design firm, TPG Architecture and construction manager, Landmark Construction. 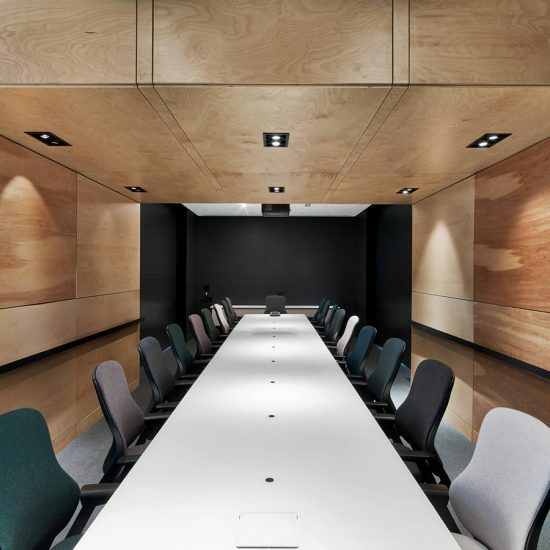 Custom millwork included collaboration banquettes, a coffee bar, gathering places, and a sleek and streamlined reception desk, all in natural birch paneling. The company’s name is featured above the desk in backlit acrylic that subtly compliments the custom wood paneling throughout the space. The reception area also includes exposed concrete and neutral colors that are contrasted by the inviting finishes of the conference rooms. The slate-colored walls are juxtaposed with white acoustical ceiling panels and tawny birch. Neutral-hued modern furnishings echo existing colors in the factory’s walls and columns. 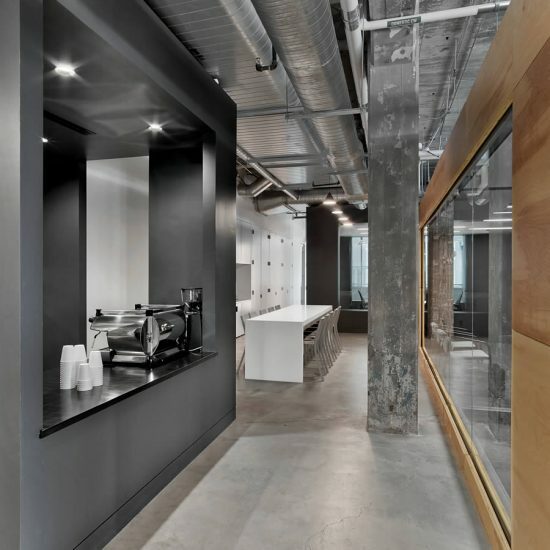 The effect of the custom millwork in this space is a sleek and industrial office environment that fosters both collaboration and creativity.